Understanding and applying research methods and statistics in psychology is one of the corner stones of study at undergraduate level being taught at all levels from introductory to honors level. This comprehensive and multi-level textbook will support the undergraduate student and the lecturer as they journey through the teaching and learning of methods and statistics throughout an undergraduate degree. 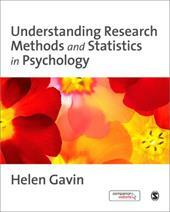 Does anyone know where I can find practice tests for Statistics and Research Methods in Psychology?